Addis Ababa, Ethiopia (Xinhua) — Commercial Bank of Ethiopia (CBE) has conducted a groundbreaking ceremony for the commencement of the construction of its new headquarters, which will be the tallest building in the East African sub-region. The future CBE head office, whose main tower has been designed to have 46 stories and 4 story basement, is contracted by China State Construction Engineering Corporation (CSCEC). The modern complex with two adjacent 5-story buildings is to be erected on 18,803 square meters plot of land at the central business district of Ethiopia’s capital Addis Ababa. Contracted with an amount of about 270 million U.S. dollars, the project has been scheduled to be completed within 38 months. With a workforce of 23,000 this time, CBE operates through its more than 950 branches opened across the country and abroad. Bekalu Zeleke, CBE President, noted that the Bank has always been at the forefront of the banking industry in Ethiopia in all aspects, and has been substantially expanding its services and the workforce. 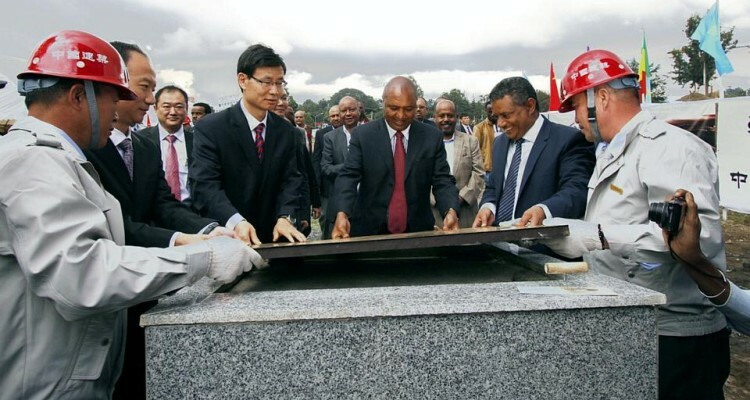 Speaking at the ceremony, Song Sudong, General Manager of CSCEC Ethiopia, said the new building is a landmark project and would be another example for the Ethiopia-China cooperation.